Levin challenged other lawyers and members of academia to show him evidence that “birthright citizenship was enshrined in the 14th Amendment.” “I challenge…. 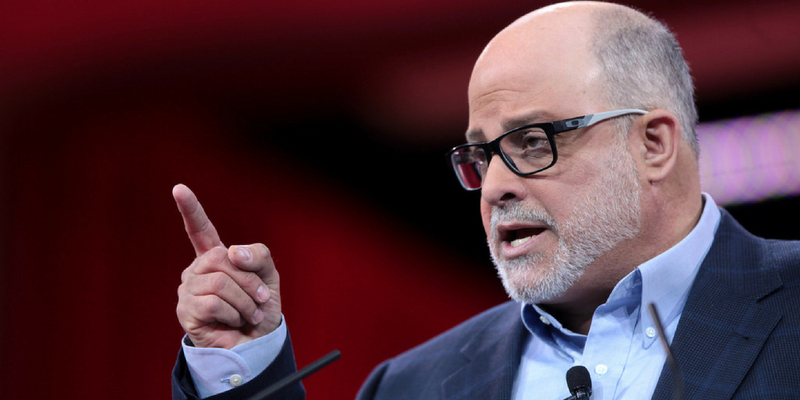 Levin’s remarks came after President Donald Trump announced his intention to issue an executive order ending birthright citizenship for children of illegal immigrants, on the grounds that the 14th Amendment does not apply to illegal immigrants. Levin continued saying, “The history of this amendment is not in dispute. It’s not in doubt. It’s not up for debate. So, what changed? Nothing in the Constitution changed. Nothing legally changed, as a matter of statutory law. “In the 1960s, the bureaucracy, under the great deal, decided to confer citizenship on babies born of illegal aliens in this country. And now we’re told, in order to reverse that, the president of the United States has to push for a constitutional amendment, or Congress has to pass a statute. But he’s not allowed to reverse what the bureaucracy did in the 1960s with an executive order. How insane is that? “I challenge you, all those who have a different view from me, in academia, practicing lawyers or former federal this or former that, I challenge you to show me the evidence in the 1860s that supports your position that birthright citizenship was enshrined in the 14th Amendment. Just give us one piece of evidence. I challenge you to show me any statutory authority where Congress intended and, in fact, affirmatively granted birthright citizenship to the children of illegal aliens. And I challenge you to explain, in some kind of coherent way, how something that is done by the federal bureaucracy cannot be undone by the president directing the federal bureaucracy, which is what an executive order is. Mr. Levine, My cousin is a huge fan of yours and now I am, too. I love reading your opinions – so satisfying to hear the truth that our politicians do not discuss. Thanks for keeping us abreast of the latest political news, and “fake news” ! It would have been nice if we had people like Levin in the Cabinet. Thank you again for taking the time and effort to send us all the breaking news. You do it in a concise manner and I look for your e-mails before I ever go to the Media. To thank you hardly seems adequate…but….please know you are appreciated.!!!! At last – some common sense being brought to this terribly important matter. I’ve known this for years, and I have the best credentials anyone could need to come up with the correct answer, as Mark Levin has. My credentials: I can read plain English with the comprehension of at least a six-year-old. The authors of the 14th Amendment are on record as specifically declaring the intent of their amendment. 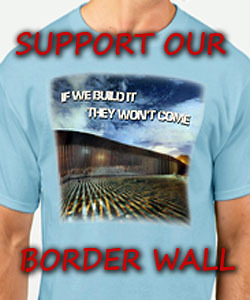 It does NOT confer citizenship to the children of parents who are in this country illegally. They fall under the jurisdiction of their parents’ home country – as the parents do. I have been disgusted about this erroneous reading of that Amendment since I came across it. Glad.to see it finally being addressed. Go Trump! The Left will try to say that ‘Trump is dividing the country’. He is trying to return it to its law and order – its Constitution. That means that he is trying to return the nation to its Truth. All error needs to be cleared away, for Truth to prevail. And in more ways than one. An interesting take on the debate that I hope would work. Levin is RIGHT, and all one has to do is KNOW HOW ANY AMENDMENT to our Constitution came about to get to the TRUE MEANING OF THAT AMENDMENT. this amendment has been MISINTERPRETED AS SOME OF THE OTHERS, just like the COMMERCE CLAUS HAS TO GIVE GOVT MORE POWER OVER THE STATES AND PEOPLE.